Another year…another chance to conquer the river! After our courageous debut in 2016, our opposition were undoubtedly shaking in their boats at the sight of us, the very definition of peak fitness, striding towards the Thames. The Puzzle Punters were back together for a second bite at the cherry and oh, what a performance was in store! Ok, so maybe that wasn’t quite the first impression we created. 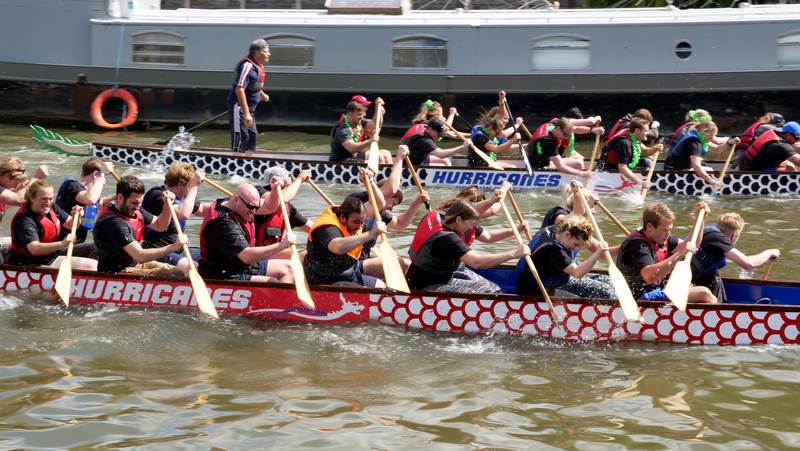 However, we jumped into our Dragon boat and pulled in unison to the beat of a very big drum to see if we could better our previous performance against the Twickenham elite. The team did an amazing job, putting in huge amounts of effort, showing a great display of camaraderie and finding the races exhausting and exhilarating in equal measure! By the end of the day we had surprised even our own high hopes as our determination and team spirit pulled us through into third place – not too shabby! Many thanks to Twickenham Alive for organising such a great local event.